Citation: Gasser, H. S. (2008). 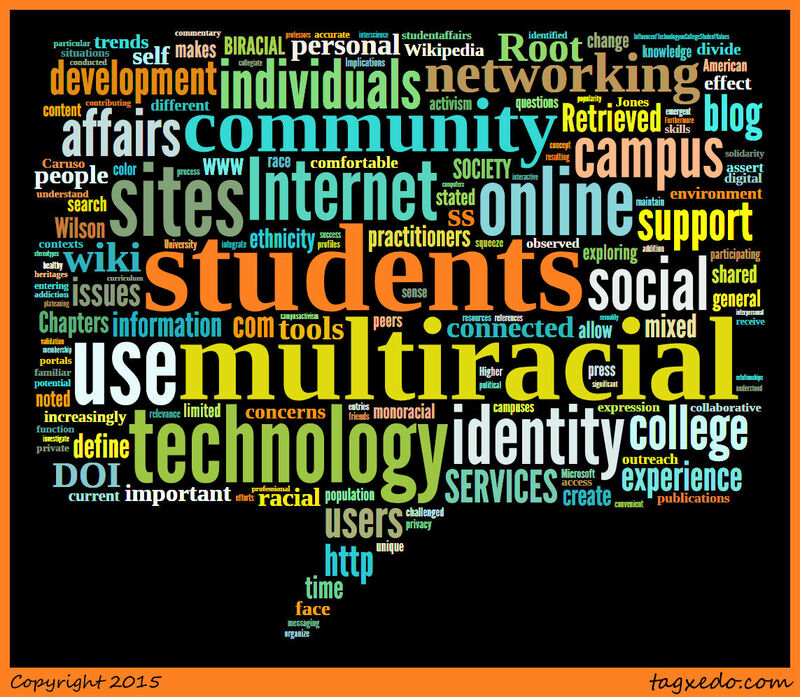 Being Multiracial in a Wired Society: Using the Internet to Define Identity and Community on Campus. New Directions For Student Services, (123), 63-71. 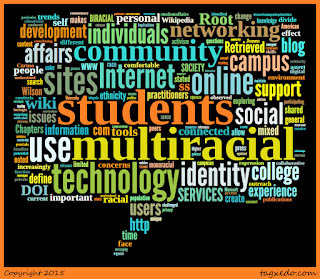 Summary: Gasser explored how multiracial students choose to develop and express their identities as well as form communities in the digital world through Web 2.0 resources, specifically social networking sites, wikis, and blogs. In each case, Gasser explained how multiracial students might use the tool for further self-definition and dialogue. Her research was largely preliminary, recognizing pockets of users that engage in identity dialogue and she drew simple conclusions from each without substantive examination. She explained that given these spaces, monoracial and multiracial people are likely to seek out these places to find community. She encouraged student affairs practitioners to actively use the online environments as another space for outreach and inclusiveness. Additionally, she emphasized that graduate students in student affairs should more actively be introduced to Web 2.0 to be more prepared for current undergraduate students. Gasser warned about three issues practitioners should be aware of when using digital outreach strategies: digital divide, addiction, and privacy issues.